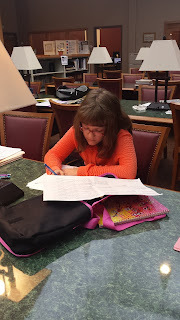 One of our OGS members is teaching her 10-year old daughter, Emma, how to do research on her family. 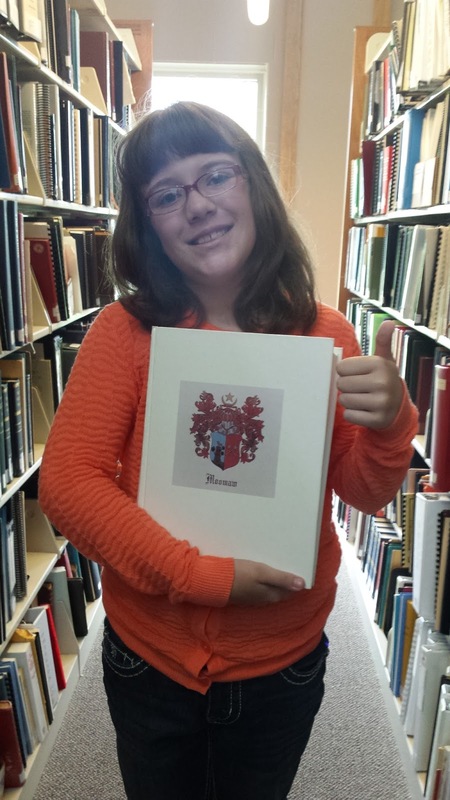 Last week Emma and her mom came to the Samuel D. Isaly Library to research. Emma is a member of several OGS lineage societies already and is now working on supplemental ancestors. Emma is enthusiastic and eager to learn. One of the first things Emma looked for was her mother's high school yearbook. 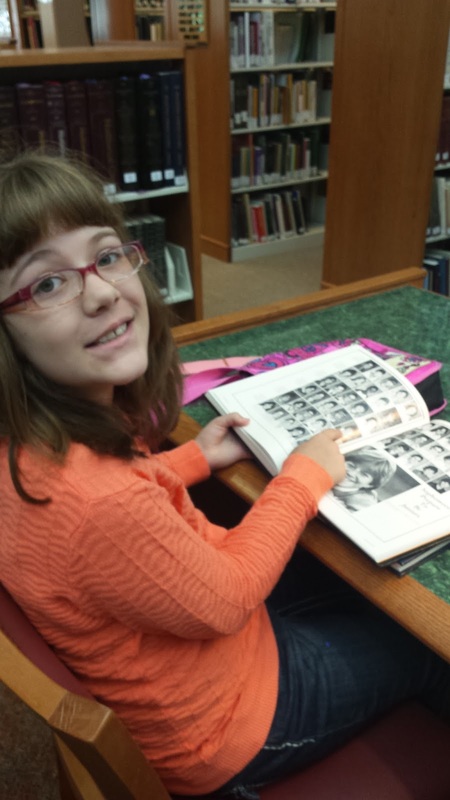 In our vast collection of hundreds of yearbooks, Emma found what she was looking for. What a great way to start her research experience. 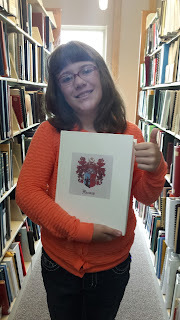 Next, Emma looked for a book on one of her ancestor's surnames. She found just what she was looking for. She is well on the road to adding those supplemental ancestors. Emma, with the help of her mother, had a great time at the library. We're so glad you enjoyed your visit, Emma! I am sure we will be seeing much more of you.